The Delaunay is a classic European style cafe and restaurant based on Drury Lane in London’s Covent Garden. Reminiscent of the ornate cafes in cities such as Vienna, the decor is plush and vintage. The Delaunay is the sister restaurant of the famous The Wolseley, and it keeps the same traditional elegant feel to it. In fact, the restaurant is full of antique mirrors, leather green banquette seating, and a decadent black and white marble floor. The Delaunay's Viennese Afternoon Tea offers an assortment of sandwiches and sweet and savoury snacks, including poppy seed Gugelhupfs with apricot jam & whipped cream and traditional fruit scones with strawberry jam and clotted cream. There is also a large selection of classic Viennese cakes including lemon and pistachio millefeuille, sachertorte, battenberg and linzer torte. In fact there is a changing selection of cakes on the menu so it’s always a surprise as to what delights you’ll be served up! The afternoon tea can be ordered with tea, coffee or even a glass of champagne! The Delaunay Afternoon tea is priced at £19.75, which, considering the prestigious venue, is a very reasonable price. The Champagne Tea costs £29.75 and is served with a glass of Champagne Pommery Brut Royale. For those wanting a more lighter option, there is also a Cream Tea at £9.50 per person. 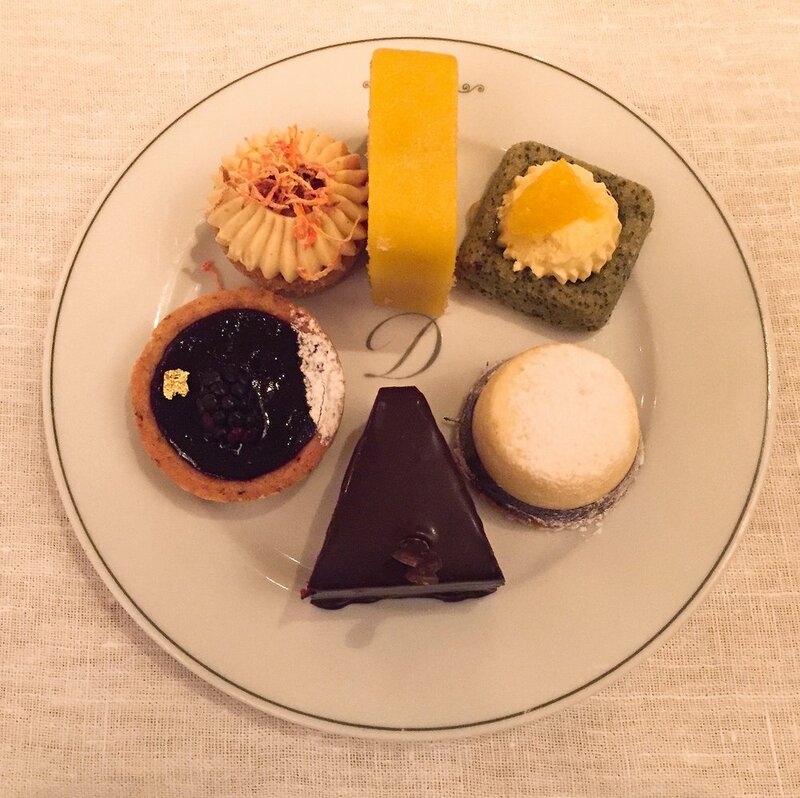 The Delaunay serves Afternoon Tea every day of the week and the central London location combined with the reasonable price makes it the ideal choice for a ornate yet economical Afternoon Tea experience. A special thanks to The Delaunay for their hospitality.